Samsung Galaxy A7 is a new member of the Galaxy ASeries line of smartphone with premium metal finish following the Galaxy A5 and Galaxy A3. It is also the first phablet in the line offering a brilliant 5.5-inch display great for watching movies, browsing the web, and playing games. Samsung smartphones such as the Galaxy S4, Galaxy Note 3, and Galaxy S5 have been accused of having a cheap look because of their plastic build. Metal offers a more premium look and Galaxy A7 is the most premium member of the line with an octa-core processor and a brilliant 5.5-inch display. 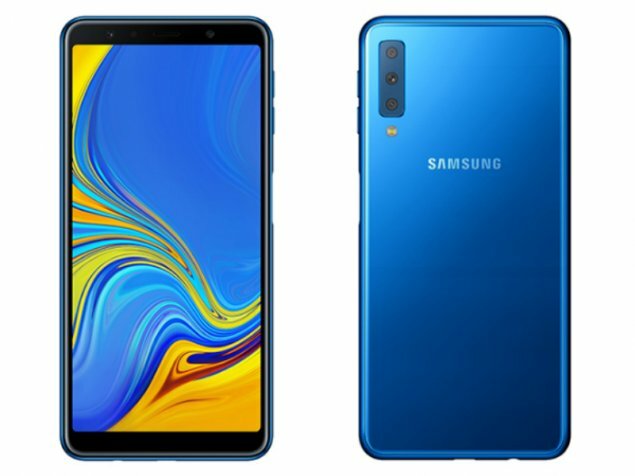 Samsung Galaxy A7 features a 5.5-inch Super AMOLED, Full HD display (1080 x 1920 pixels), with a punchy and vivid colours while emitting light from within the display itself (not with a display backlight, as is the case with LCD screens). Samsung’s Galaxy A7 is positioned to be a mid-range smartphone, but, from the display alone, it will compete head-to-head with Apple’s 5.5-inch iPhone 6 Plus (that bears the same Full HD resolution with an LCD screen instead of an AMOLED screen). The Samsung Galaxy A7 has 2GB of RAM and 16GB of built-in storage, which you can add additional 64GB via microSD. The 2GB of RAM in the Samsung Galaxy A7 combines with an octa-core chipset consisting of two quad-core processors to deliver a smooth performance. Two options are available: the first is a Qualcomm Snapdragon 615 housing a 1.5GHz quad-core processor and a 1GHz quad-core processor comes with the dual-SIM models, while the other is a Samsung Exynos 5 Octa 5430 consisting of a 1.8GHz quad-core processor and a 1.3GHz quad-core processor. Samsung Galaxy A7 features a 5 megapixels front camera that provides a Wide Selfie feature that allows you to take pictures of you and a group of people (“We-fies” as opposed to “selfies”). Samsung’s own Galaxy Note 4 has a 3.7MP front camera, so selfie lovers will enjoy the 5 megapixels front camera. This is a trend we hope Samsung continues with its Galaxy S6 that will be released later this year. On the back of the Samsung Galaxy A7 is a 13 megapixels camera with autofocus and LED flash that provides a rear-cam selfie feature alongside of Full HD (1080p) video. Samsung Galaxy A7 houses a 2,600mAh battery, a battery size that matches most batteries we’ve seen from Taiwanese manufacturer HTC in the last year or so. While it is slightly under that of the 2013 Galaxy Note 3 (3,200mAh), Galaxy S5 (2,800mAh), and the Galaxy Note 4 (3,220mAh), Samsung brings over its Power and Ultra Power Saving modes from its 2014 smartphones to the Galaxy A7. With that said, you’re likely to get days out of your battery if you use the Ultra Power Saving Mode and allow most features to be disabled while using only a few (text, phone, Wi-Fi, 3G/4G, Memo, Facebook, Google+, Chrome). Samsung Galaxy A7, as the high-end metal device of Samsung’s mid-range offerings, will likely cost somewhere between $350-$500. The Galaxy S6 is sure to cost $600, and Samsung will not want to eclipse its Galaxy S sales. The Galaxy A7 is pre-loaded with Android 4.4 KitKat, so there’s been no word as of yet on when the A7 will receive Android 5.0 (Lollipop). Samsung has decided to halt its Galaxy Alpha line to focus on the mid-range smartphone category, so the A7 is sure to get Lollipop as soon as Samsung can update it. Samsung’s back has been pushed to the wall lately with declining sales, but the company still managed to deposit $4.5 billion in the bank in Q4 2014 – which still beating the profits of all its Android OEM competitors. Still, Samsung’s “mettle” is in the “metal” Galaxy A7, A5, and A3. Samsung Galaxy A7 outweighs Apple’s iPhone 6 Plus, and anyone considering a top-notch experience would do well to save the $300 extra money you’d pay for an iPhone 6 Plus and pick up Samsung’s mid-range offering. From the 2,600mAh battery and two battery-saving modes, down to the microSD card slot, better cameras, and octa-core processor, Samsung’s Galaxy A7 will make you think twice about picking up that shiny smartphone with a fruit logo on the back. 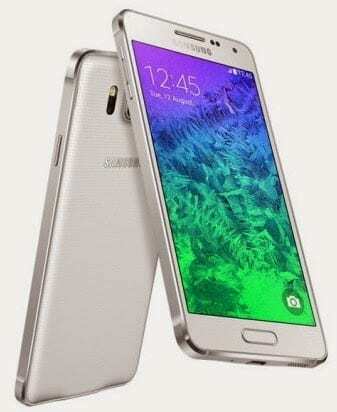 Samsung Galaxy A7 is not yet available in Nigeria, but global launch begins in Q1, 2015. We currently have no data on pricing and availability for Nigeria. When available, Samsung Galaxy A7 Price in Nigeria is expected to range from N80,000 to N110,000 at launch.